STC announced this week during the American Immunization Registry Association (AIRA) conference that their new Immunization Intelligence platform has adopted the concept of geomedicine. In partnership with Bill Davenhall, STC is utilizing geography and immunization coverage rates to develop a strategy with vaccine manufacturers, retail pharmacies, and public health that will improve vaccine-preventable disease outcomes. Public health immunization systems are significant health data assets. Physicians, healthcare providers and pharmacists report the patient immunizations they give every day. Technology to accelerate electronic record exchange is increasing the quantity and quality of information reported. 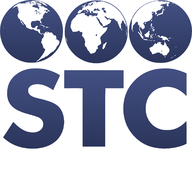 The ability to use this information to engage and empower the healthcare provider, as well as consumers, is a core mission of STC. Understanding the value of geography within this ecosystem has just begun. Tens of thousands die each year from the flu. New measles cases occur even though it was all but eradicated. Whooping cough still kills the young. These and many more diseases are diminished through the use of vaccines, public health prevention programs, and data intelligence. STC, through our innovative technology solutions and consultancies, is on the front line of this battle with its mission to create a healthier future. Ideas Start Here!